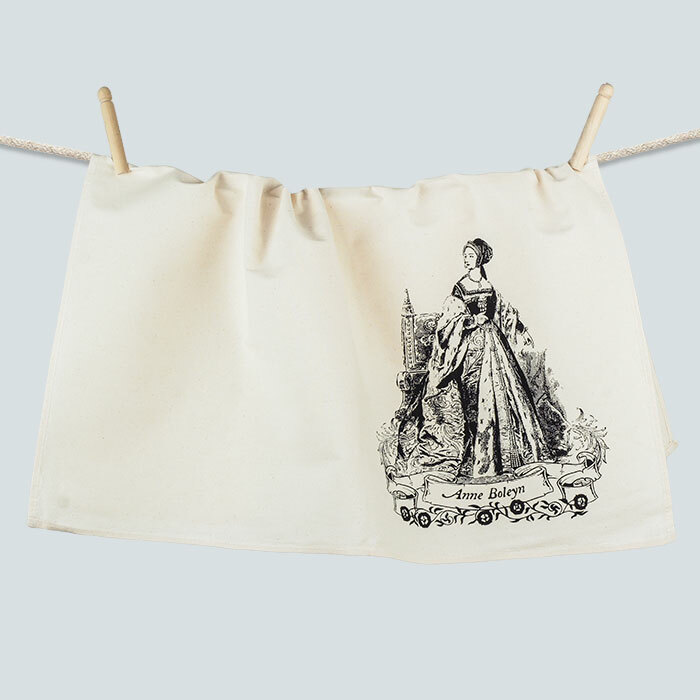 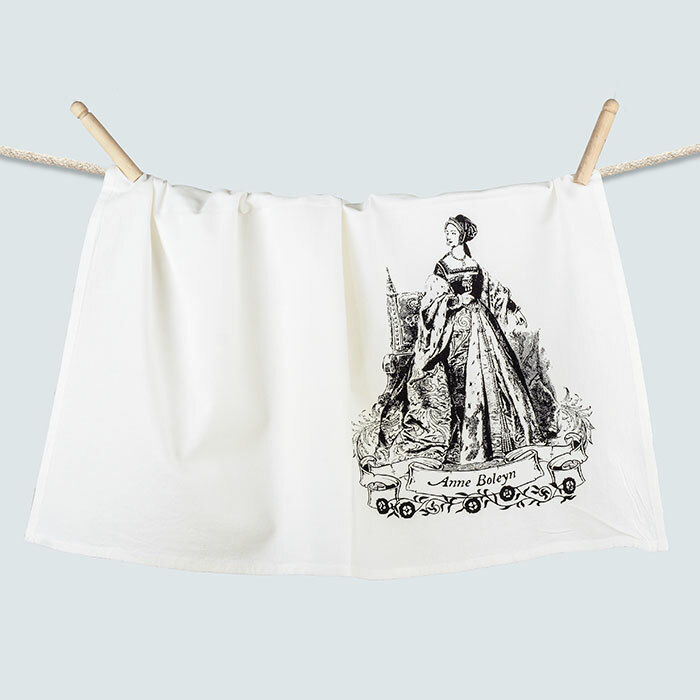 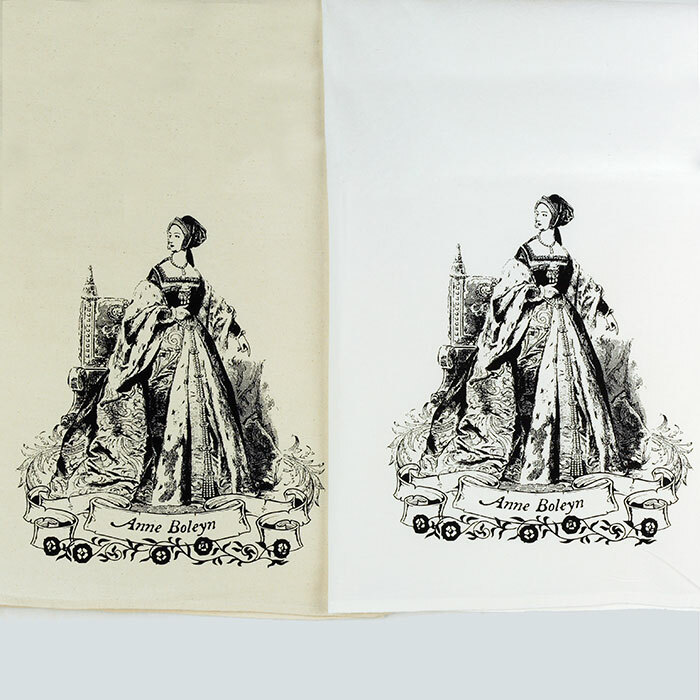 This large flour sack towel features on the front a design from Tiffini Elektra based on a tableau of several vintage engravings to create a one of a kind Anne Boleyn tribute. 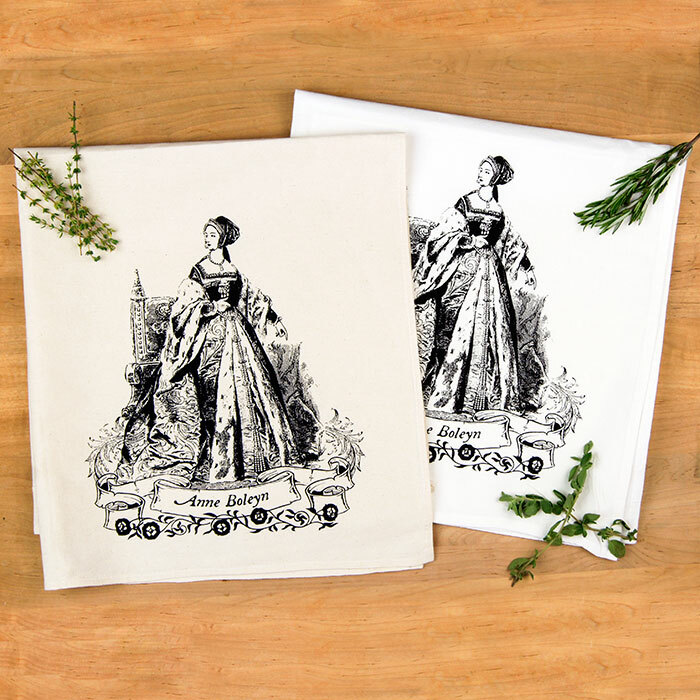 This set offers a saving of $10 when compared to buying the towels separately. Lint-free, soft and absorbent, these flour sack towels will quickly become your favorites in the kitchen. 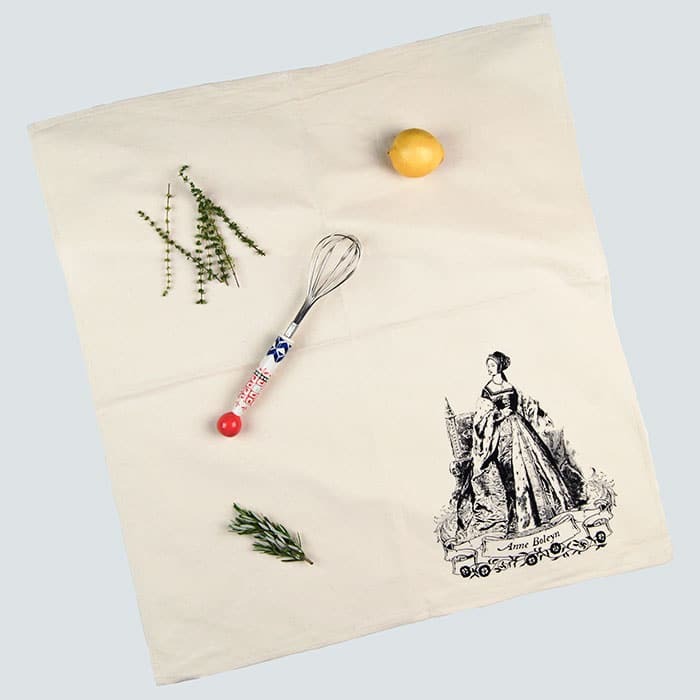 They are perfect and stylish as an all purpose utilitarian working towel for the kitchen that is still beautiful as a fine dining linen.